I awoke in the dark before my alarm had a chance to herald the morning. Melbourne was cold, very cold. I hopped out of bed, turned on the heater and figured I could stay snuggled in the warmth until the alarm actually sounded. The day ahead rattled through my brain. Did I have everything? Manuscripts? Illustration portfolio? Business cards? Postcards? Scarf? The perfect outfit? Comfortable shoes? Toothbrush? 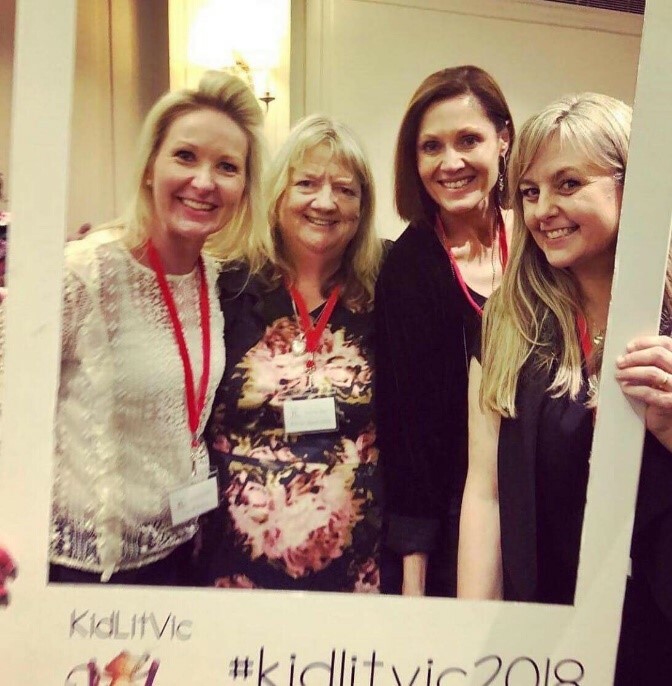 I needed to stop ‘doing head miles’, get out of bed, and prepare for author Penny Harrison to drive us into town to the KidLitVic 2018 Conference. 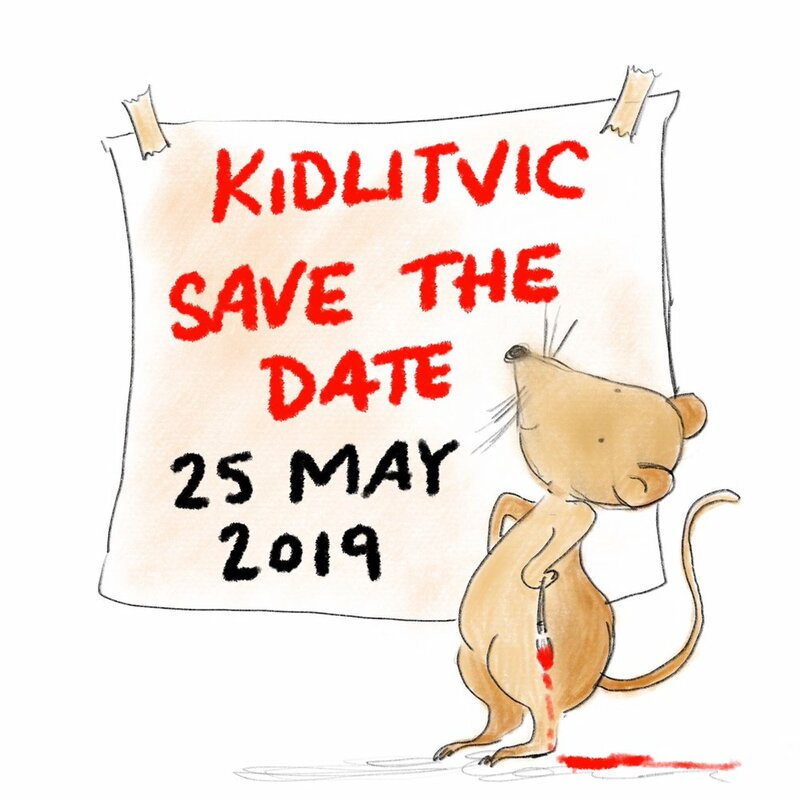 For those of you that don’t know this annual event is organised by the wonderful Team of Authors Alison Reynolds, Coral Vass, Jaquelyn Muller and Illustrator Nicky Johnston, plus a raft of helpers. This year it was bigger and better than ever with 200 attendees and over 20 publishers. 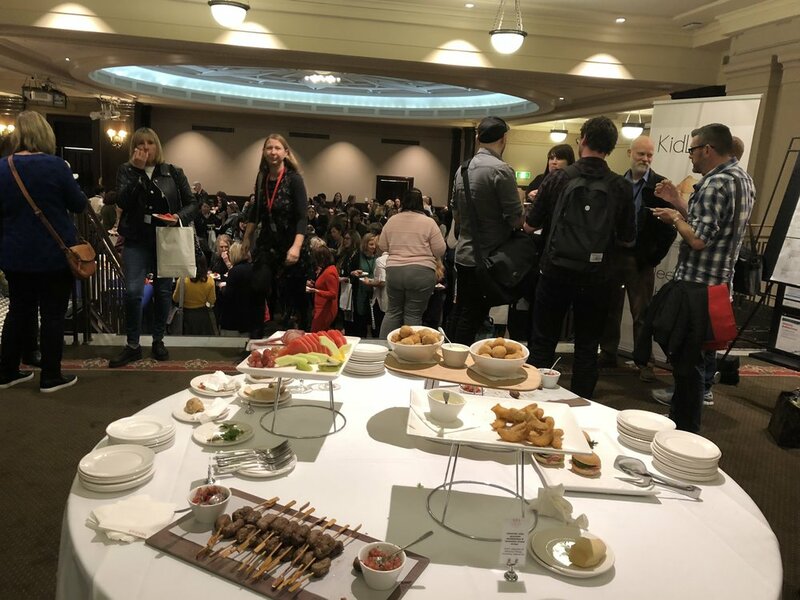 It was so big; this conference of expert panel discussions, workshops, and one-to-one assessments with publishers, was moved to the beautiful Melbourne Town Hall. I have now been focusing on illustration for just over two years. 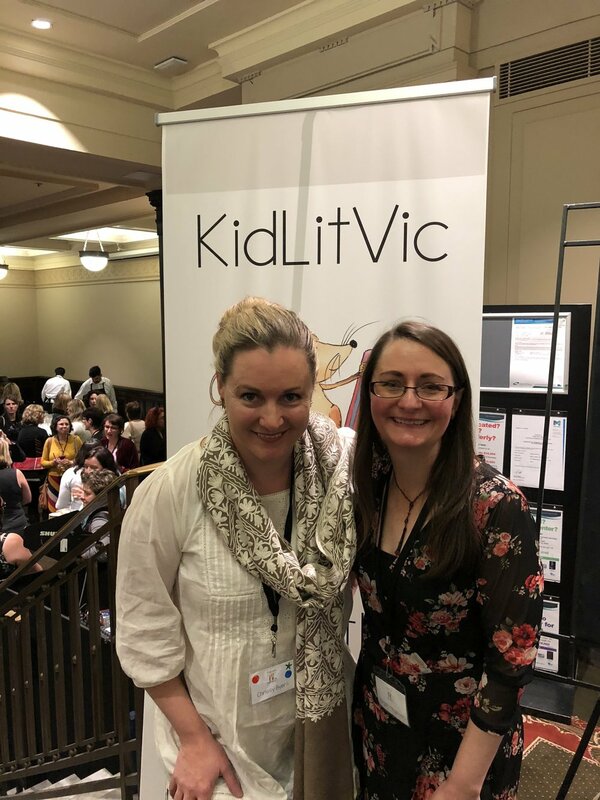 I look back at the portfolio I submitted at the first KidLitVic 2016 and am so grateful for the feedback, and encouragement, I received from Suzanne O’Sullivan (Hachette). 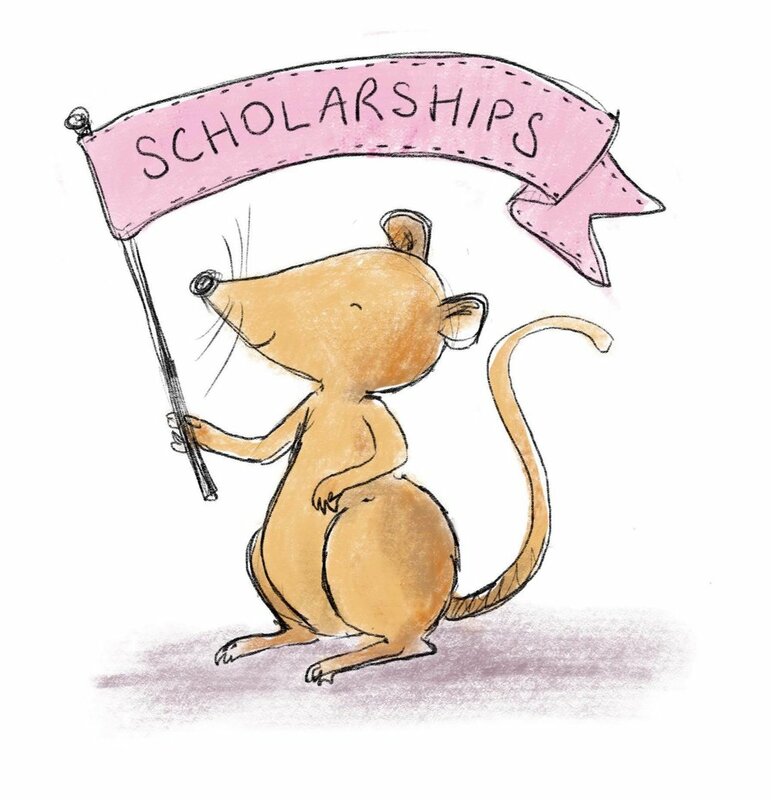 The following year I returned with a new portfolio under my arm, a better understanding of what to expect during the conference, and a second portfolio assessment, this time with Maryann Ballantyne (Black Dog). With my debut picture book as an illustrator published, I built on the invaluable feedback from 2017 and felt that this year I had a folio that is beginning to show that I am an illustrator and not some imposter. The first panel ‘What to expect when you are expecting’ (a book baby that is) covered topics such as the collaboration and relationships between the publisher, author and illustrator. How the illustration process works and emphasised the need for authors, and illustrators, to trust that the publisher, editor, sales & marketing team, are all there to maximise the success of a book. It also briefly touched on payment types and how many books make it through to the acquisition process. 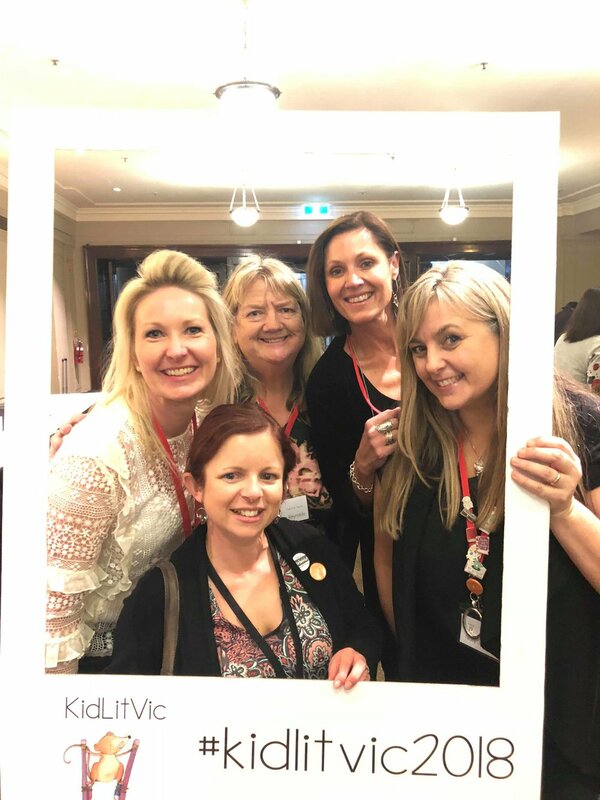 I didn’t attend the next panel or either of the workshops after morning tea as I had an assessment booked with the beautiful Lisa Berryman (Harper Collins). I made sure I had time to compose myself and took advantage of the quiet to browse more thoroughly through the illustration portfolios. The standard of this year’s illustrators was amazing! The variety of styles and artistic interpretation across the board was impressive. My one-to-one assessment with Lisa was helpful and thorough, with honest and constructive feedback. I highly recommend booking an assessment with her if the occasion presents itself. Next up, was the workshop ‘Direction in art direction’ by the amazing and inspiring Donna Rawlins (Walker Books). I can’t tell you anymore than that because we were all sworn to secrecy. 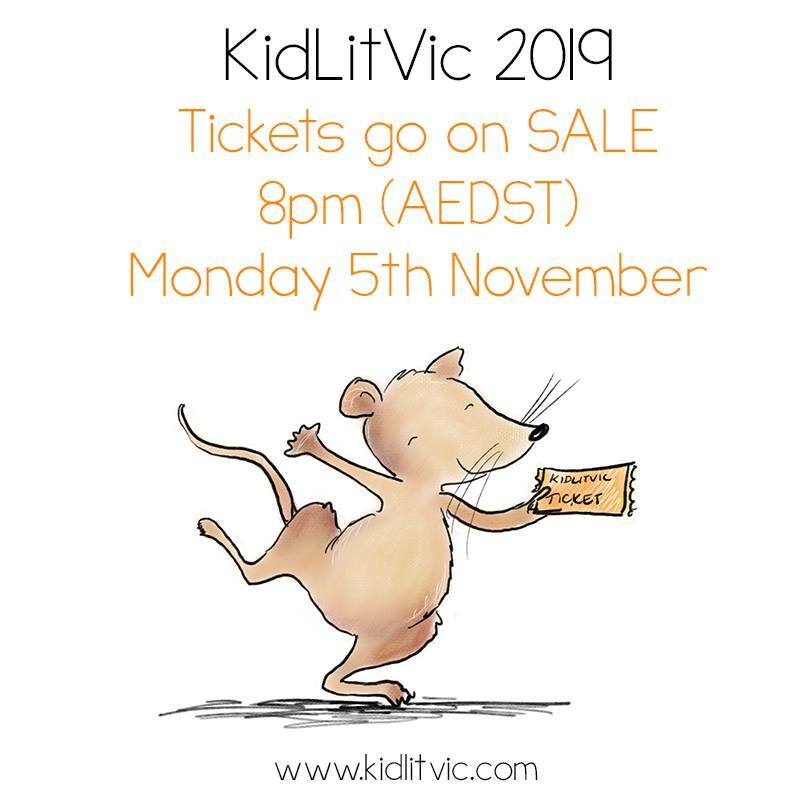 You will just have to attend KidLitVic and hope she offers to run a workshop again. It was an amazing learning opportunity. If you ever have the chance to attend a workshop with her do not turn it down! This is the first year illustrators were offered the chance to meet publishers informally. With confidence that I had a reasonable portfolio I approached a publisher and listened as I was given tips and hints about what worked in my portfolio and things I should include. Gold I tell you, absolute gold! Although I fear I still could have been braver and met a few more publishers. The final panel was all about ‘Getting your foot in the door’. Loads of great information was shared from which publisher should you submit to? 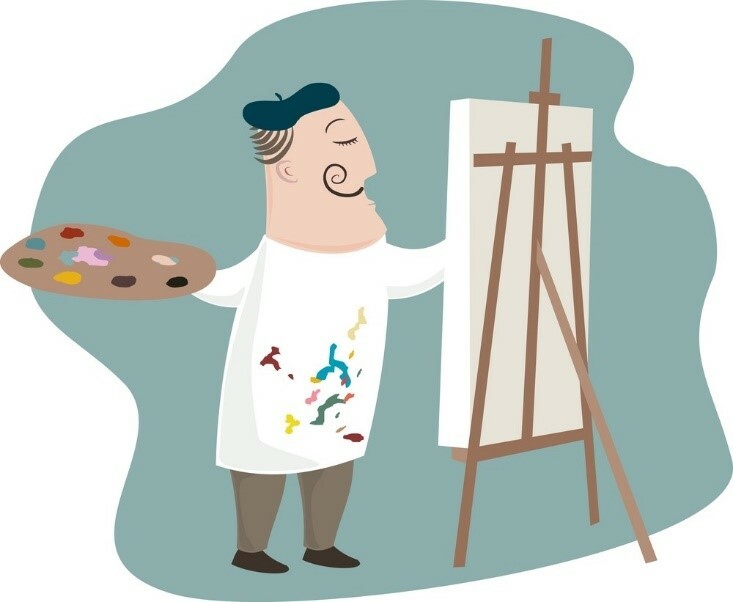 To, how important is social media as an author or illustrator? Do you need a paid ms assessment before submitting? Have you considered all the tools you have at your disposal within your writing? Should you make multiple submissions? And finally, what are the ideal author / illustrator personality traits? Roving microphones were then handed to the attendees who had a question and the publishers succinctly answered them all. Coral Vass, who did an amazing job as MC, then closed the conference as the Team came up on stage and said their thankyous. It was then time for the cocktail party. Being able to catch up with friends is the highlight of any conference. And being with so many people who are passionate about creating books is beyond inspiring. 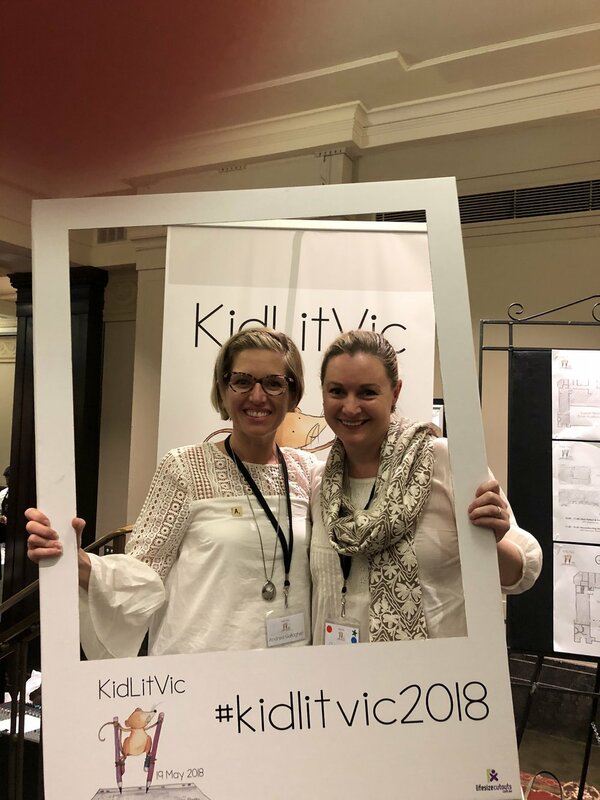 Thank you KidLitVic for another tremendous conference. It is an absolute joy to attend. PS. I did forget my toothbrush (Thanks Penny for the new one). 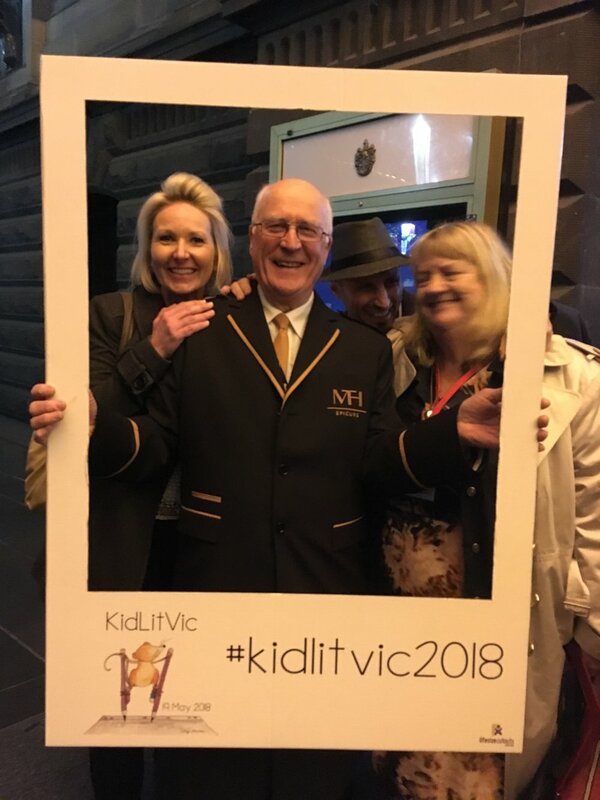 Hear ye, hear ye, KidLitVic is in da house. Well, more like in the Town Hall, which is one stunning venue. Nestled in the heart of Melbourne, attendees came from all over this fine country, bustling with hopes and dreams and reams of words stuffed in their satchels. The wonderful and former Children’s Laureate, Leigh Hobbs opened the conference, giving us a hilarious and insightful glimpse into his life in publishing. Rejected by many and not even making it past the lobby of one publisher, Leigh did not give up. He believed his zany yet relatable characters would one day have wings and when you think about it, Mr Chicken actually does have wings. Perseverance is the name of the game, and Leigh equated that to be his defining quality, one which we’ll all have to embrace to endure this constantly shifting industry. After Leigh’s wise words, the lovely Coral Vass set us loose on the town hall. Some stayed for an enlightening panel chaired by Michael Wagner (Awesome author with too many publications to count but our personal favourite being, “So Wrong”) along with Adam Wallace (another awesome author, too many publications to count but our personal favourite being, “Rusty, Buster and Patch versus the Opera”) running literally with the microphone. 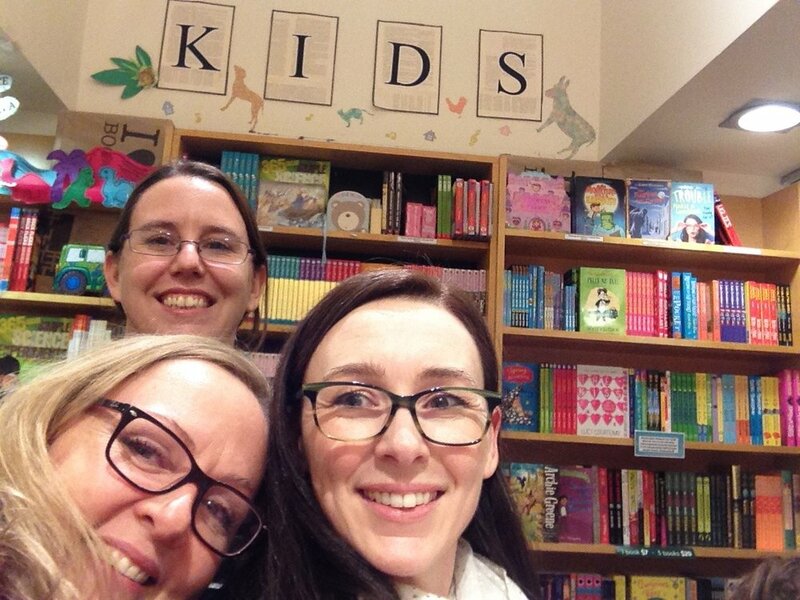 We heard from Michelle Madden (Penguin Random House) Claire Halifax (Scholastic) and Suzanne O’Sullivan (Hachette) on What To Expect When You’re Expecting … A Book. I missed this session having to scurry off to my assessment, but I’m told it was incredibly helpful for those about to birth new book babies into the world. 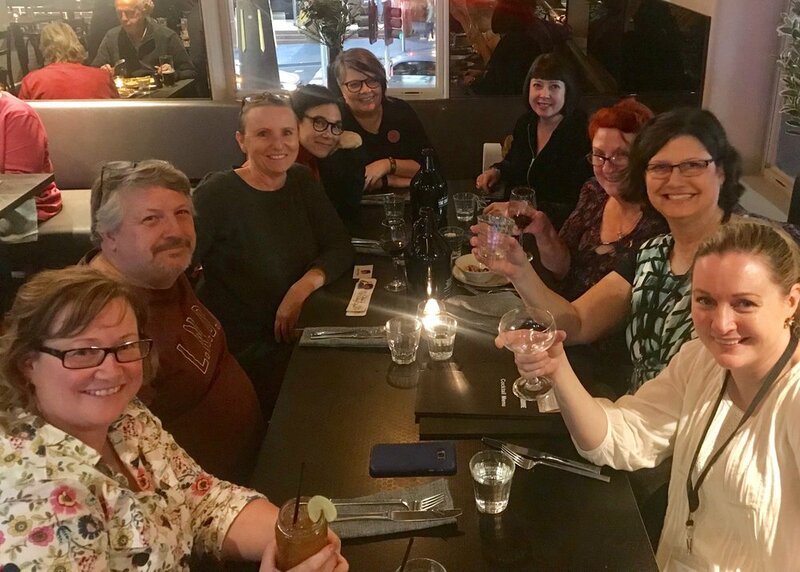 While some were learning about squishing out books, others were attending workshops like The Art of Editing with Elise Jones (Allen and Unwin), learning how to hone their words before pressing the inevitable send. Speaking of assessments, the unflappable Al Reynolds, (Mr Alison as some of us call him) crafted a strategic plan to enable every wishful attendee to have their humble words critiqued by the best in the business. A well-oiled machine it was, and after checking in, we were ushered to our respective tables with stars in our eyes and words in our pockets. My own assessment with Davina Bell (Affirm) was encouraging and enlightening, actually I will elevate it to say thrilling. To have an actual publisher pour over your words, giving you positive points as well as areas to improve is an actual dream-like moment. One I have experienced before, but it will never get old. For those of us who still dream of working with publishers, this is the golden ticket. With wind in our sails, we sojourned downstairs to be delighted by hot addictive stimulants and tasty morsels that even those with gluten sensitivity could enjoy. Much chatter ensued and before long we were back into the program. We learned from Kimberly Bennett (Penguin Random House), Marisa Pintado (Hardie Grant Egmont) and Lisa Berryman (Harper Collins) all about Creating an Appetite for Series. Dispelling many myths about how series are acquired, we learned that we don’t have to have words piled up to add up to several books before submitting; instead at least the first book written and a synopsis for the second would suffice, not forgetting a clear direction for where the series will go. While some of us were obsessing about our potential series, the arty folks gifted with pen and paint brush (hopefully not sword) were sashaying off to get some Direction in Art Direction with Donna Rawlins (Walker). 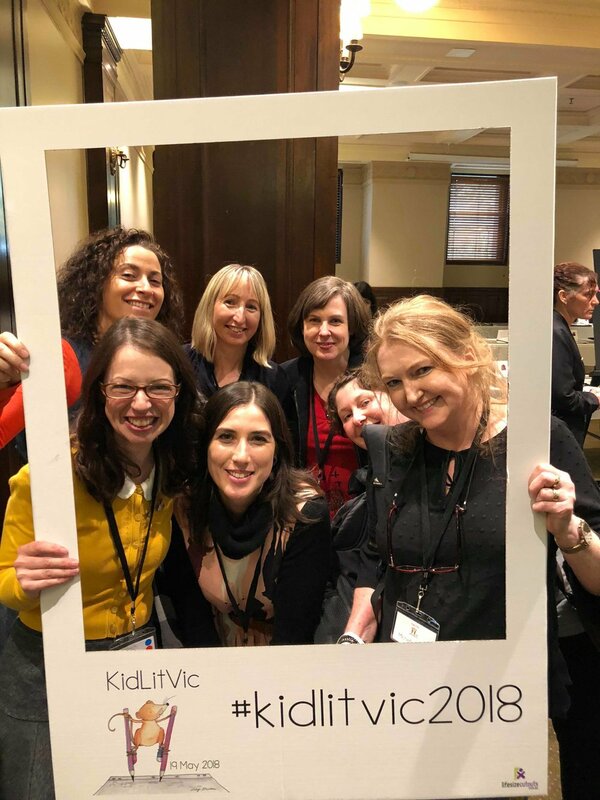 Not being arty myself, I have it on good authority this was the session to attend for aspiring picture book creators and one that will need digesting for many moons. Meanwhile the wordsmiths were over searching for their voice in Finding Your Voice with Jane Pearson (Text). Hopefully all voices were accounted for by the end, and I hear it was incredibly useful for those seeking to find their true and authentic self, which will hopefully be mirrored in their writing. Further delicacies which may or may not have contained more calories than a Willy Wonker’s were consumed, along with the usual addictive stimulants. The illustrators were showing their wares over at the Showcase, tempting potential publishers with their delicate and daring skills. After ravenous consumption, (honestly why does one feel hungry when doing nothing but sitting and listening) then we all squished into the lift because by this time no one could face the stairs. 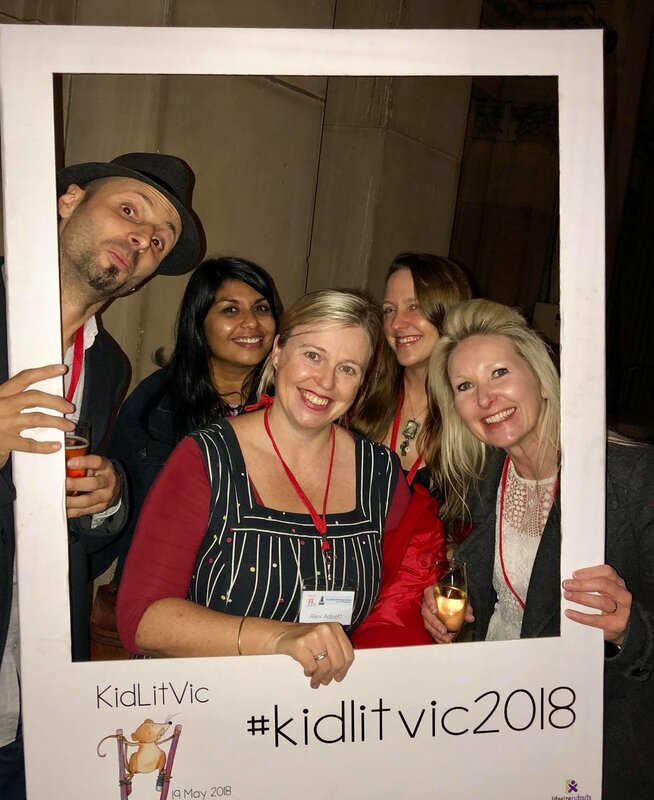 There were lots of toes on show at the next panel, where we learned from Susannah Chambers (Allen and Unwin) Amy Thomas (Penguin Random House) and Davina Bell (Affirm) all about Getting a Foot in the Door. I for one had my bright red there’s-no-place-like-home-Dorothy-slippers at the ready, but sadly there was no invitation for said throwing of shoes. We did learn what NOT TO DO, which surprised me because if anyone sent me a bunch of cupcakes raining unicorn glitter to accompany a submission, I wouldn’t say no, JUST KIDDING!!!! Do Not Do This, I repeat, Do Not Do This! While the clumsy footed remained baffled as to how to get that even a pinky toe in the door, the midlist authors were over Talking Shop with Jacinta di Mase (Jacinta di Mase Management) Alison Reynolds (seriously awesome author who has too many publications to count and also likes a nice soy flat white) and Alex Adsett (Alex Adsett Publishing Services). They discussed what those international rights really mean and how on earth one interprets a royalty statement. Last but not least, there was time for many a burning question, my personal favourite, “Those that like rhyme, MAKE YOURSELF KNOWN?,” of which I’m sad to report that only the delightful Jennifer Bilos and Verity Albert (Hinkler) would fess up, so I suspect we all might have to remain closet rhymers for the near future. Just kidding, there’s always a place for good rhyme, but it has to be spot on in, so keep polishing and honing that meter folks. This whole day was made possible by the tireless and self-sacrificing efforts of four incredible women, of which I will now name and thank profusely. 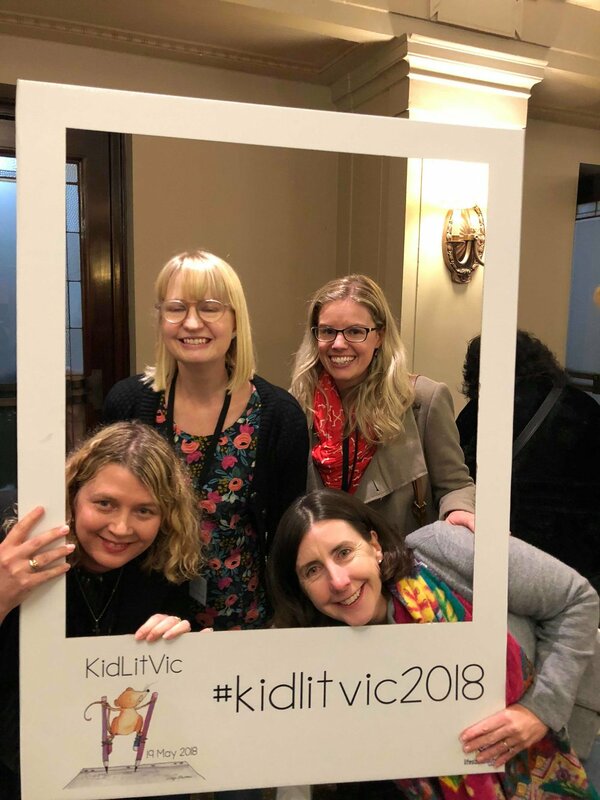 Attending KidLitVic2018 was honestly one of the highlights of what has been a very busy year for me. Even though the view from my window in Melbourne was a bit different to the one in New York, I was honestly just as excited to be there and meet friends I had made on Facebook but had never met in real life. 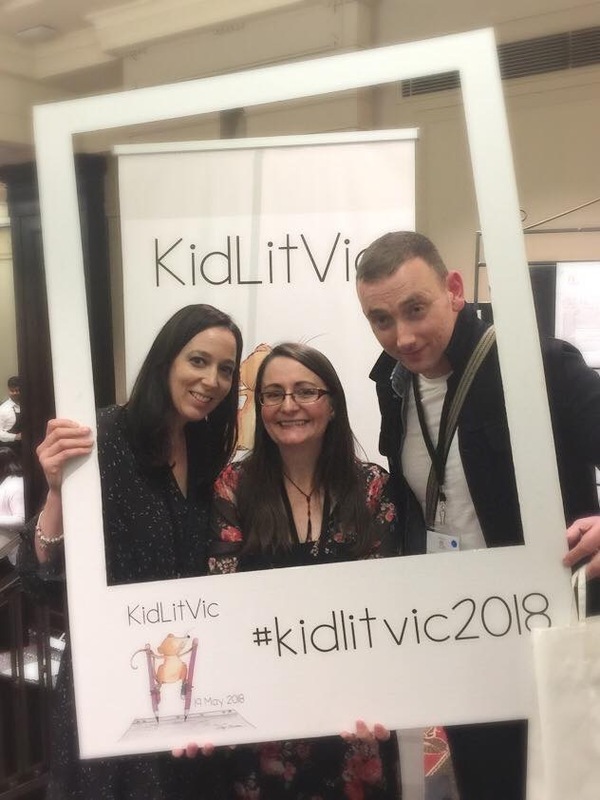 I was also excited to see them ‘Level Up’ at this conference, just like I knew they would, because it has happened to me so many times before, just like it did at KidLitVic2018. Being around people who share your passion is empowering. Empowered people search out education on how they can be more successful in making their dream a reality. Successful people learn successful behaviours and that is what creates the confidence to keep going, even when you are faced with a ‘no’ or a ‘not me’ or a ‘not now’. It filled me up to see so many of my friends getting the confidence to have their work displayed, have their work assessed and walk up to strangers and turn them into friends. When you decide to start taking your work and yourself seriously as an author or illustrator, or one of those rare, unicorn-like creatures called author/illustrators, you’ll reach a threshold where you must decide if you’re ready to go to the next level. Most people get comfortable at a certain stage because they don’t want to deal with the emotional purging involved in levelling up. 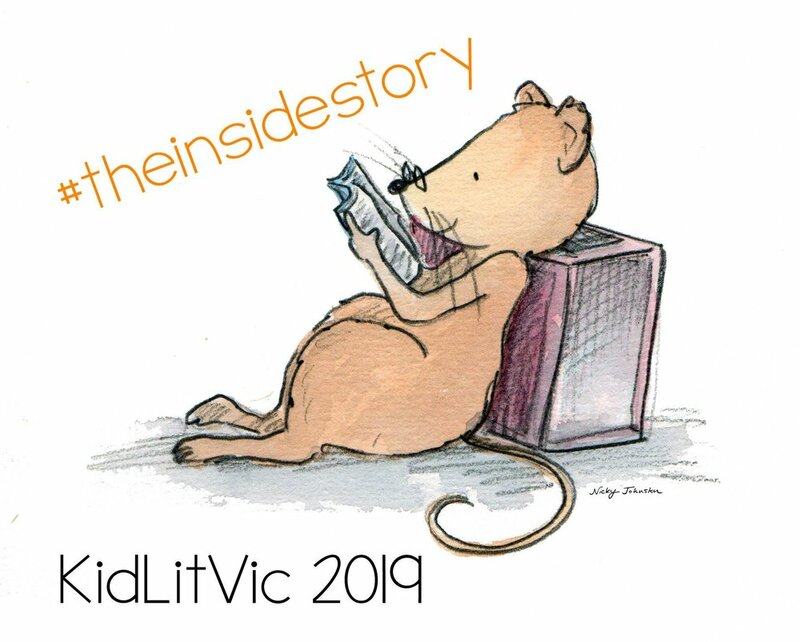 The fact that you attended KidLitVic, means you are ready. When you decide to level up and go bigger, your life becomes different for a short period of time. If you’ve been successful in the past, and for some reason feel derailed, don’t take that as a sign you’re on the wrong path. Chances are, you’ve levelled up without realizing it. When you’ve had a chance to process the new information you have received, your life will improve. You’ll become more competent, successful, and confident. Your interactions with other people will be far deeper and more meaningful. At some point, you might have begun to question yourself and the path you’re on. 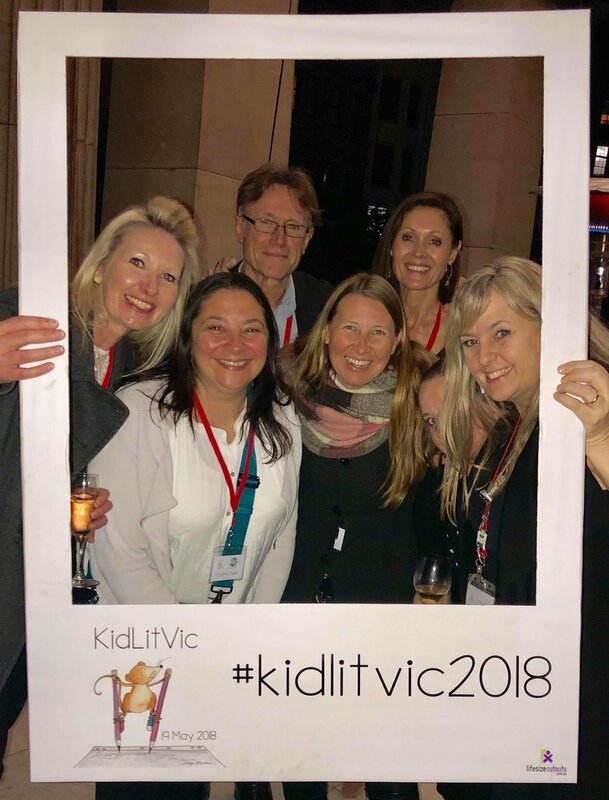 Firstly, if you can put into practice what you learnt at KidLitVic2018, you will be living at a much higher and more powerful level than ever before. You’re just adjusting to what that means. For a while, it will feel like you’re going through the motions. But your brain has been exposed to higher level thinking and when you start writing again, you will have so much momentum that muscle memory will take over to make you think differently about your work. You levelled-up for a reason. You learned how to do things other people who didn’t attend haven’t discovered. Everything you’ve done has brought you to this point. Now is your time to rise to the challenge. New information brings an opportunity to flow forward. It allows for more angles on the same beautiful experiences, relationships, and meanings you’ve had in the past. It makes you a better author or illustrator. Prepare for faster growth than you’ve ever experienced before. Your momentum is now multiplied and compounded because you are no longer alone on your quest. You have lots of tribe members to support you. Not only that, but something inside of you expanded beyond the dimensions of what you could thought you could create. 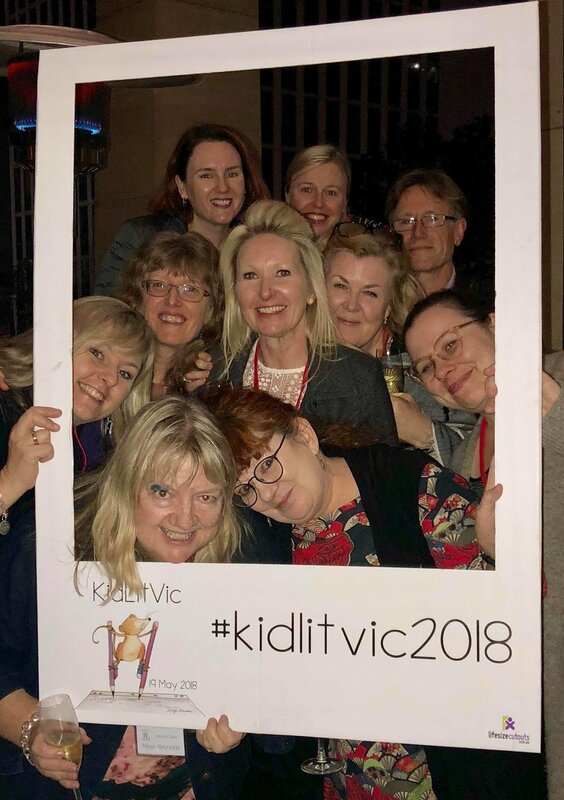 You’re on to something great right now, all thanks to attending KidLitVic2018. Don’t be afraid to level up.